I’ve been blessed to have a large non-traditional family, and while we’ve fallen apart a few times we’ve never give up on each other, and we’ve never stop sharing unconditional love. I’ve been blessed to have more than just blood family, but I have grown up with several other families that too share the same unconditional love. I cannot wait until I have a family of my own because they will most certainly be the greatest joy to share on this earth. As the infamous blue alien said, “Ohana means family and family means nobody gets left behind or forgotten.” Here’s to family and the story of the non-friend, half friend, and the full friend. A few nights ago I was face timing my nephews. My youngest nephew had just turned 6 on Sunday and my sister forgot to call me back when I tried to wish him a happy birthday. I already missed two important birthdays this year (mom and best friend) and that was horrible enough. It’s been a difficult year for me having been through so much change, my heads been off somewhere. It’s not a great excuse and I feel awful, but I can only do better moving forward. Thank God for the amazing humans in my life that stick it out no matter what. Anyway, so I’m face timing my nephew that just turned 6 when his older brother takes drive of the phone and conversation. I ended up having a 40 minute good life conversation with my 10 year old nephew. To warm you up to his awesomeness I’ll start the conversation from the beginning. Walking me through his home my nephew wanted to show me all the changes since renovating their “fixer upper.” When my sister and her family had first moved into their home the entire family lived in one room while they renovated and my nephew was proud to show me what he helped build. The best part of the tour was the front yard. On a dark screen (because it was night) my nephew showed me the laser lamps that protected the house from bears, zombies, bad guys, and things listed to that nature. 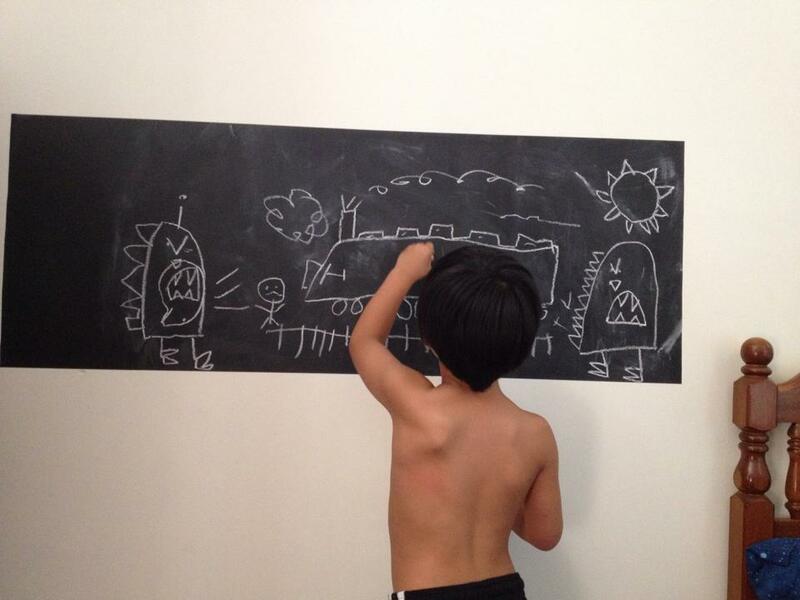 I’d imagine those laser lights kept those large creatures in my nephews chalk art out. Hugo means a very huge creature per my 10 year old nephew, and this will include dinosaurs, fable story giants, and chicken? We determined a chicken could not be considered a Hugo. We talked about how he was going to become a scientist because he loves math and science. My nephew has been saying he wanted to be a scientist since he was like 4 and it is amazing his answer remains the same. He said, “I’m just going to have to do it and make it a life and it’ll be great.” He shortly after explained an analogy of the world. The world is a ball and we are all fleas. By this point my sister was interrupting because she was shocked we were still on the phone and it was almost 10 pm (he had school the next day). His response to my sister was “we’re having great life conversation.” He was right. He is the best conversation I’ve had in awhile. 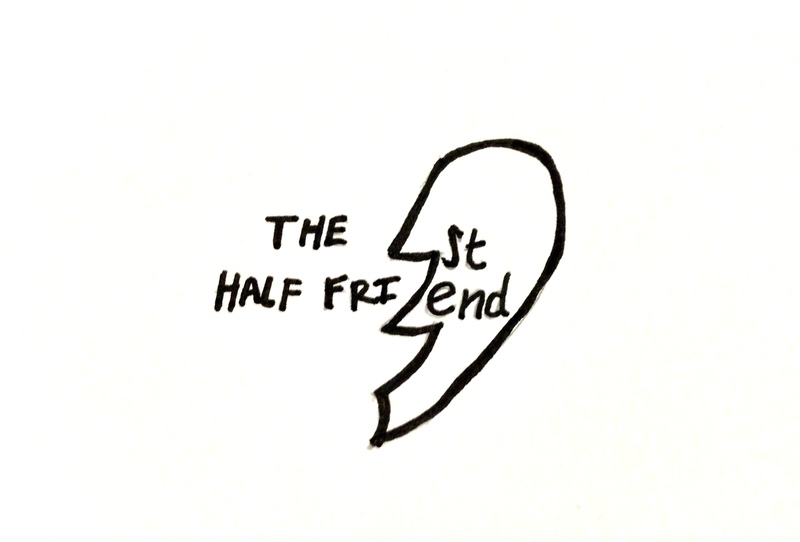 So where do the non-friend, half friend, and full friends come from? When we talked about school my nephew told me all about his friends… the semi and the non-friends. I asked him to further clarify what each classification meant. And he did! These are the friends that are friends but can sometimes be rude. When these friends are rude you can only be friends half the time. 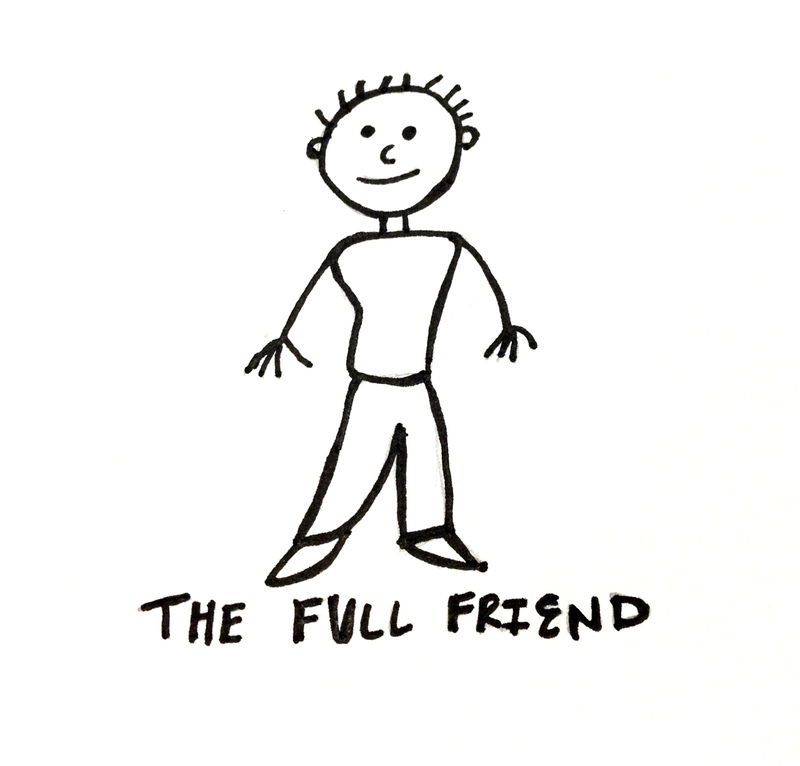 The full friend is your nice friend. 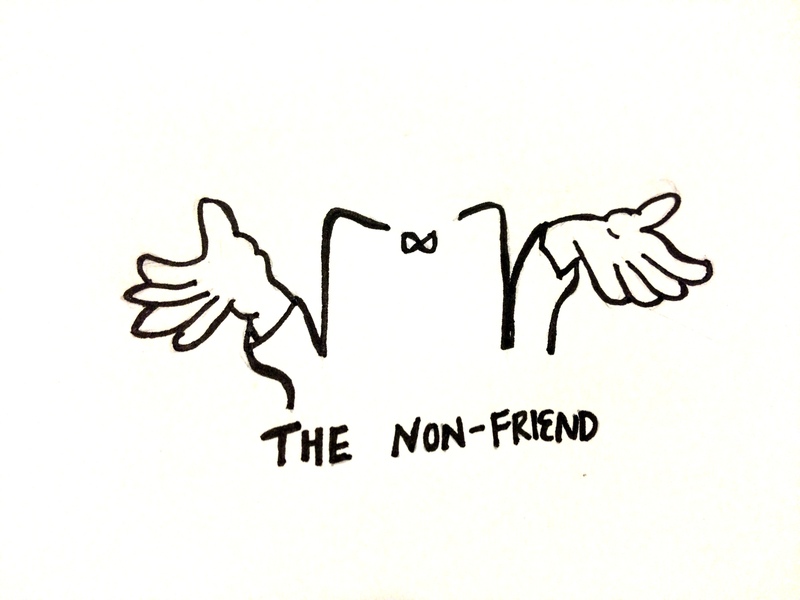 The friend that is not rude. In my nephews case, it is the friend he is creating a comic book with. They have the characters and the plan to draw it out and share it with the world.